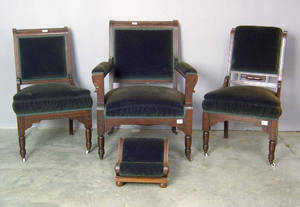 Realized price for Victorian 6-pc. lounge suite. Collection of glass fluid lamps, 19th c.